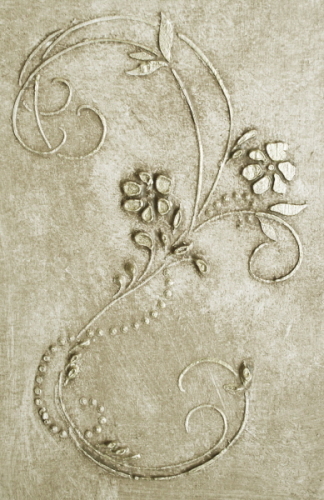 The perfect plaster stencil for cabinets, trailing over the edge of doorway molding or on craft projects when an adorable design is just “the thing” to make it the eye catching piece you intended. 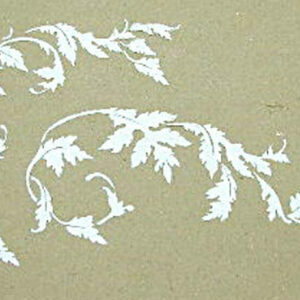 Beautiful as a wallpaper stencil design as well. 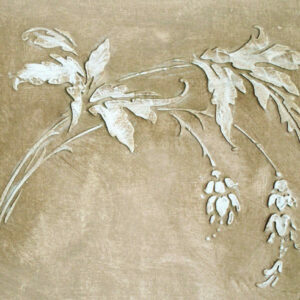 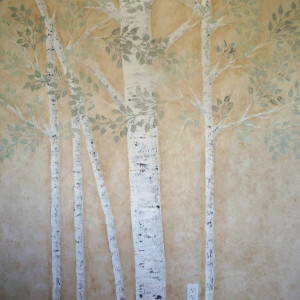 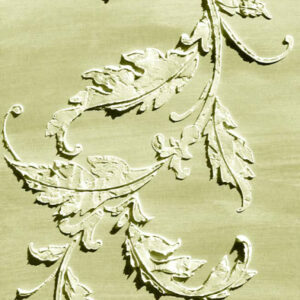 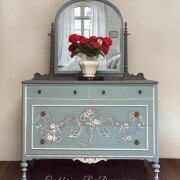 I love central stencil designs for use on cabinets and doors, the sides of dressers and as repeated wallpaper patterns. 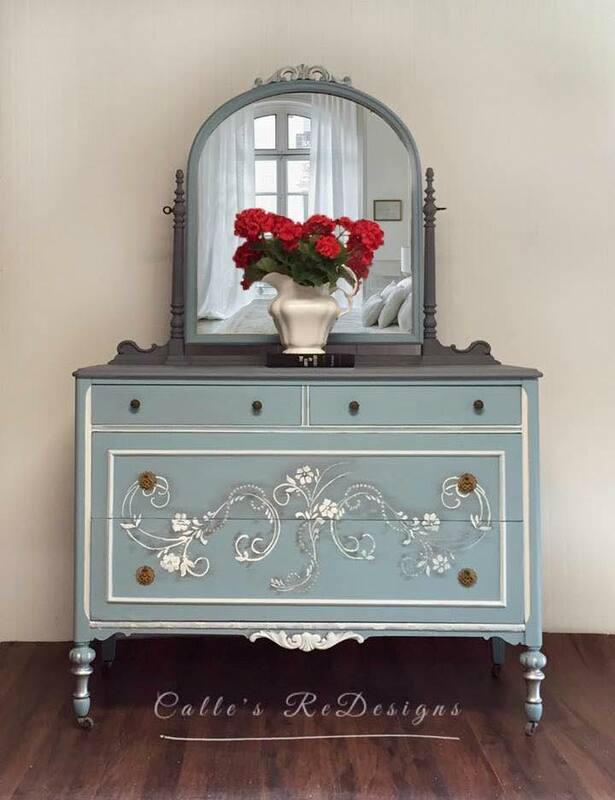 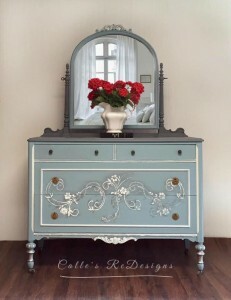 Here, Calle’s ReDesigns used the stencil flipped and repeated on the front of this beautiful dresser!